We are delighted to announce that the Agenda Committee of Academic Board has approved the appointment of Professor Carol Chin as the 8th Principal of Woodsworth College from July 1, 2019 to June 30, 2024. Professor Chin is an accomplished researcher and teacher, and brings exceptional experience in academic leadership and governance at the University of Toronto to her responsibilities as the Principal. Since joining the University in 2008, she has amassed a notable record of service. In terms of academic leadership experience, she served as the Acting Principal of Woodsworth College from 2015 to 2016; Acting Chair, Department of History (July-December 2018), and Associate Chair Undergraduate, Department of History (2010-15). 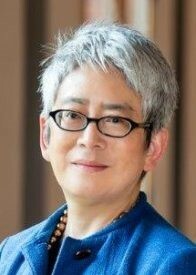 Professor Chin has also served on various departmental, College, Faculty and University committees including: the Arts & Science Academic Planning Working Group on Equity, Diversity, and Inclusion (2018-19); the Provostial Advisory Committee on the Prevention of and Response to Sexual Violence (2015-16); Academic Board (2015-16); and the Planning and Budget Committee (2015-16). Professor Chin holds degrees from Harvard University (B.A. 1977), and Ohio State University (M.A. 1996; Ph.D. 2001). Professor Chin is an Associate Professor in the Department of History. Her research and teaching interests are in late nineteenth- through twentieth- century American foreign relations, specializing in U.S.-East Asian relations. Her particular focus is in the intersection of national identity with concepts of empire, culture, and gender and the ways in which these themes can enhance the study of international relations. She was elected to the Council of the Society for Historians of American Foreign Relations and served from 2012 to 2014. Professor Chin is well-informed about the challenges and opportunities ahead for the College and the greater context of undergraduate education in the Faculty of Arts & Science. In addition to her strengths in University administration, she has a great affinity for Woodsworth–its people, its history, and its values–and how the College is a significant contributor to the University’s mandate to be a place of access for students of all backgrounds. Known as a respected colleague, administrator, and advisor, Professor Chin will bring an ideal blend of intelligence, compassion, and vision to her leadership of Woodsworth College. We are excited that she has agreed to serve in this important leadership role at the University. Please join us in welcoming Professor Carol Chin as the next Principal of Woodsworth.